Our performance tests are pretty clear, the cooling ability of the Ryujin 240 is excellent, finding itself at the lower end of our graphs in all tests, even beating some coolers with larger radiators which is impressive, but acoustics suffer hugely. We found the pump-embedded fan would spin up once things got warm causing a lot more noise than any other components. 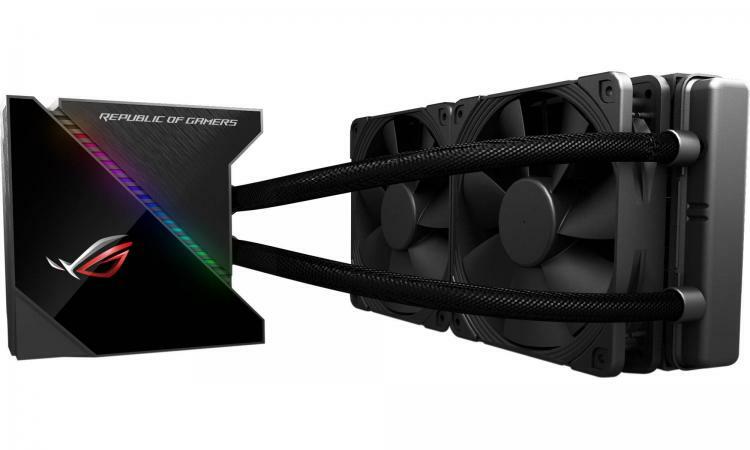 The pump-fan might well be adjustable, but to control the RGB lighting, pump speed or fan speed, you are required to install the ASUS AI Suite, but this piece of software is only compatible with machines running on an ASUS ROG motherboard. This, to us, is entirely unacceptable, especially when considering that this fact isn’t mentioned on the box or product page on their website. Based on that fact, we were also unable to monitor the Noctua’s fan speeds for out graphs, which is a shame. After discovering that we were unable to run the AI Suite, we found a program called LiveDash which allowed control of the RGB lighting and OLED Display, but for some reason we couldn’t get this to run, at all. We tried it on an MSI Z270 Gaming M7 and Gigabyte X79-UP4, both to no avail. Sadly, because of the lack of any available functioning software, we’ve been unable to thoroughly test the product and can only provide what is available on the previous pages. Having said all of that, there’s no getting away from the Ryujin’s excellent capability of cooling a CPU, but the noise output was much higher than we anticipated. Moving onto price, at GBP £190, USD $220 and AUS $380, we expected a lot more of ASUS. A universal software suite and quieter performance are a must. For a company as prominent as Republic of Gamers, we expected much more. We couldn’t possibly recommend this cooler to someone on the basis of requiring an ASUS ROG motherboard to access basic functions.